Green Tea (Eau Parfumée) is a perfume by Elizabeth Arden for women and was released in 1999. The scent is fresh-green. It is being marketed by Revlon. The saying with the 'green lifts' is from my older neighbour, who thinks that green clothes are a good mood, or something like that. Fashion rules from 1958, according to the motto 'always fits, you can't do anything wrong'. And it is precisely this assessment that applies to Elisabeth Arden's 'Green Tea': it is an arbitrary, green, explosive-fresh fragrance with a good mood factor. A smell development is as good as none available. Goes nuanceless from lemony-fresh to green-fresh. I bought it as an uncomplicated everyday scent. It fulfills its purpose somehow now with me, because I use it meanwhile as a room spray and fragrance our wardrobe area with it. The scent is so harmless that even my husband thinks it's deodorant. And that means something. The fabric is more of a cologne for refreshment than a perfume. 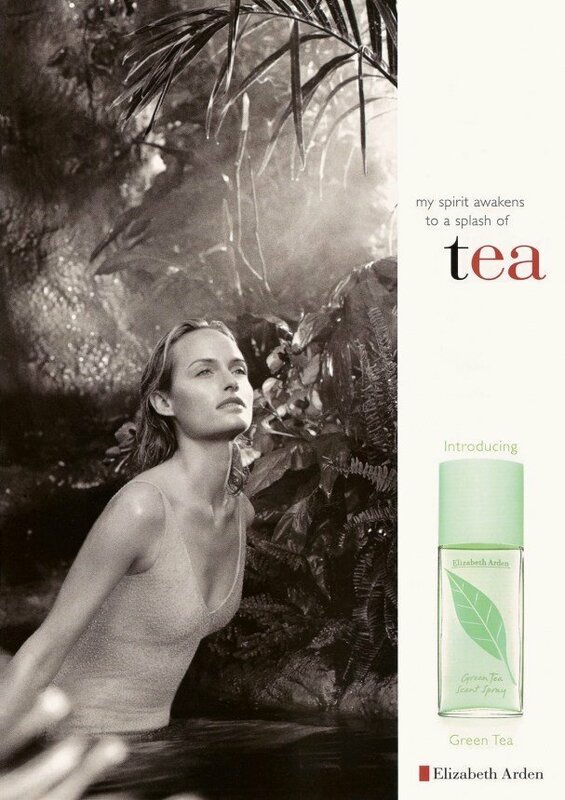 By the way, Green Tea can take the Pepsitest with Yves Rocher's 'Thé Vert'. Wouldn't surprise me if they were bottled in the same plant. I have half a bottle of this perfume left from 1990; I can find no difference in the way it works and smells now compared to when I first bought it - it is completely intact with all the bergamot, lemon, orange notes shining over the top of a very (very) underplayed herbal, inky, woodiness. It has a dreamy, sherberty citrus aroma like cups of sweetened jasmine tea with lots of lemon, so why after 25 years do I still have half a bottle? Well, I have pigeonholed this as my 'garden picnic' scent as it goes well with cheesecloth dresses, summer sun, and picnics in the garden so I rarely find an occasion to wear it. Despite the fact that this has a noticeable amount of aldehydes in the top it feels to me like it has real jasmine, carnation, and oakmosss - there's just something about it. I am not going to upset myself by trying the new formula - I have done that once too often with my old loves. I really love this one! It's like a fresh, citrus spray with a lot of added green tea. It's good at doing one thing really, which is making you feel fresh and energised. This is in my opinion a unisex perfume, because the aroma of green tea and citrus is very neutral and refreshing. It's also quite light (I think it performs like a weak Eau de Toilette), so it's perfect for people who "don't like perfume" etc. It's light, inoffensive and works perfectly in hot, humid weather and on those days when you don't want to wear anything loud or offensive or heavy or overpowering etc. I would say this is the perfume to wear when you need a "detox" from other perfumes! I think this one is worth the price (very cheap by the way), and it works as a light, refreshing summer spray perfect for aeroplanes, travelling, long journeys, summer parties, even wearing to work. It's very light and versatile. Plus you can spray on clothes and the smell will last longer. I highly recommend this one and it won't be too expensive. It does it's job well. A cooling, relaxing citrus green tea & mint combination that works in the hot days of spring & summer... and at the office and after the shower. 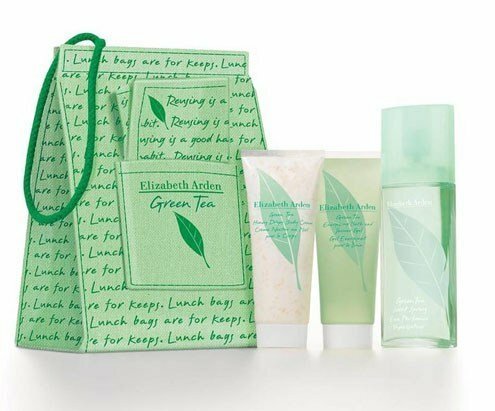 So many of us have a bottle of Elizabeth Arden Green Tea, but how many of us have tried it lately? It's not a revered classic, but it is hardly a throwaway, either. 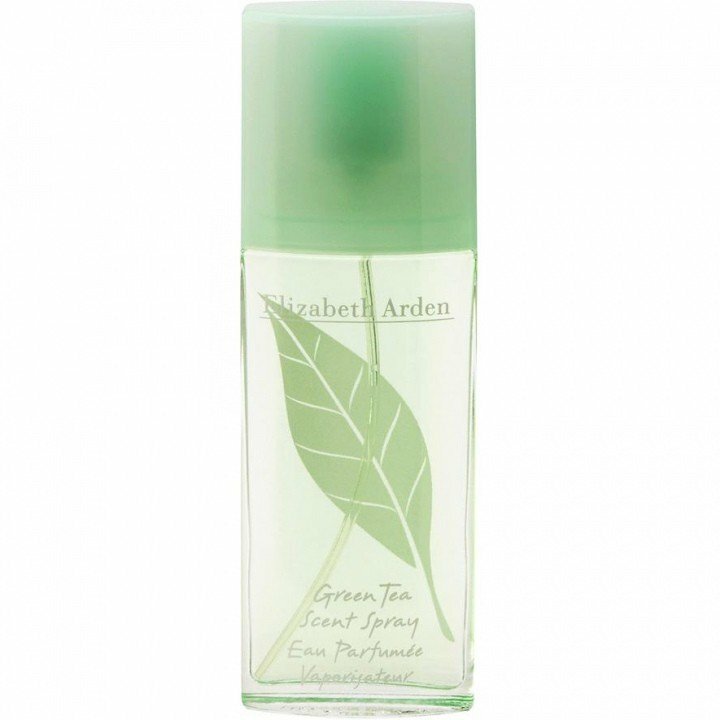 Elizabeth Arden Green Tea still holds a place in our collections because it's perfect for one summer moment or another. Today I rescued my bottle from the back row of a box of summer fragrances, and the freshness is just as I remembered. Green Tea opens with a sweet citrus scent, which is soon joined by a light jasmine and of course, tea. At certain points, I can detect a touch of mint, and there are also intermittent notes of what seem to my nose to be fennel and caraway -- just enough to give Green Tea an herbal feel. I am going to make a point of putting this one into my rotation this summer. I've already made a little decant to pop in my purse, because yes, this one does need a little boost over the course of the day. But who wouldn't want another little spritz of this summer refresher? It's light and breezy, and sweet and tart, like a lemon meringue. Like Lola82, I also found this scent overpoweringly sour the first couple of times that I tried it. But after using it for a few days, I really like it. I get tons of lemon and orange coming through at the beginning and although it does start out very sour, that mellows down really quickly. I don't get too much green scent from this, mostly just citrus. At the end it sweetens up just a bit. Fantastic for a burst of energy during the boring work day. I have a bottle on my desk and use it often as the longevity is not that great. This is my reset button ... when I've become a little anosmic from the heavies that I like so much, a boiling hot shower and a few spritzes of EA Green Tea is a cleansing experience. This frag has a fabulous classic Cologne feel ... airy, fresh and calming. One of the best (and most pocket friendly!!) tea frags around. I was intrigued to see that it's by Francis Kurkdjian ... well, bonus! Fresh and radiant ... do carry it with you for frequent replenishing :o). is in it or the celery seeds in it. This is not my favorite perfumes.